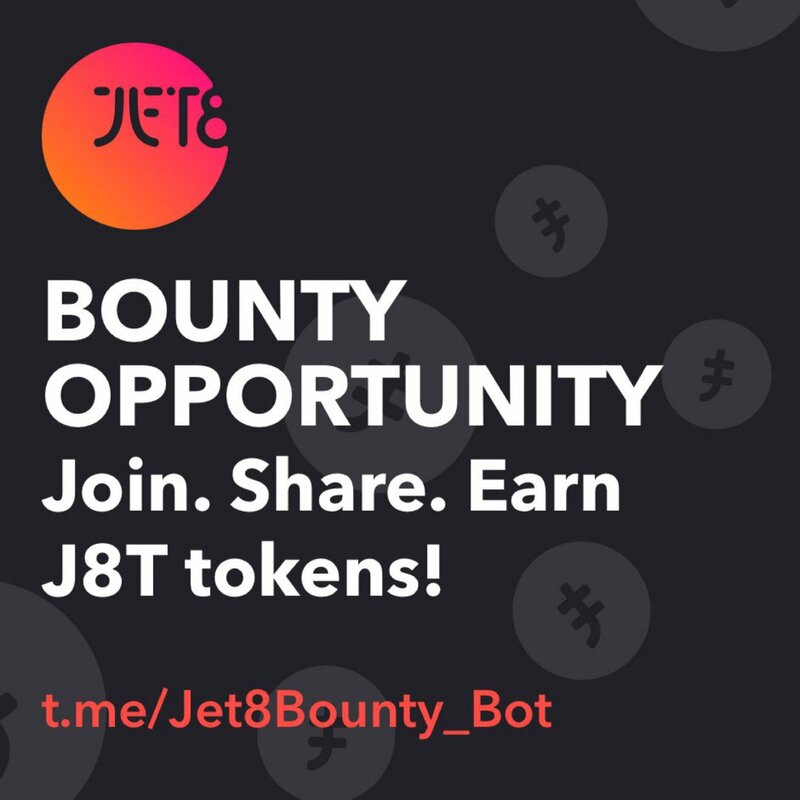 JET8, the social media engagement innovator, is announcing the public sale date of the J8T Token on the 9th of February. For over 4 years JET8 has been transforming peer-to-peer influencer marketing via a tokenised social engagement platform. JET8’s platform, products and services allow brands and agencies to target, publish and track the engagement of peer to peer branded content, via selfies with sponsored frames and stickers that are shared through the JET8 apps to social media platforms such as Tumblr, Facebook and Instagram. With over 15 million app installs and 1.5 million influencers, JET8 reaches 400 million plus mobile social accounts driving peer-to-peer engagement for leading multinationals such as Nestle, Pepsi, Coca Cola, Danone, Avon, Friesland Campina, P&G, Unilever, and Heinz Group. There are already over 4 billion JETS in circulation being exchanged for real-life goods in 20,000 points of sale, including 7Eleven, CircleC, and Watson’s. An initial coin offering will help us scale the use and value of our token to a global audience. Victor Zabrockis Founder, Chairman of the Board, SVP of Product Design and Architecture. A software architect and mobile engagement expert with a solid track record in the field of digital experience creation since 1999. In the past 3 years, Victor has taken that experience and applied it to building the JET8 network. Joshua Thomson, Founder, SVP’s of Partnerships. Joshua’s experience in the business world is impressive. His background includes the successful founding of his own boutique marketing agency and a position with FC Barcelona as Director of International Business. Mike Allen, Founder, SVP’s of Partnerships. With 20 years of experience in media behind him, his previous successes include managing Titan Media, part of the Naspers Group, for 7 years in China. Shannon Cullum, Chief Marketing Officer. Has been in communications for almost 25 years- 9 as CEO with several multinational agencies and has worked with A-list brands like Unilever, Coca Cola and Google. Bruce Aitken, CEO of JET8 (effective early April) Former Vice President of Amazon China and previously Director of Finance and Strategy for Intel China. I also feel that the current token is too much. Every token wants to raise so much money, so the amount of money in the entire cryptocurrency market is running out. Dear supporters, we’re thrilled to officially announce that our Public Sale will commence February 28th. Thank you to the many who’ve joined the white list and processed KYChttps://registration.jet8.io/ applications so far. We look forward to many more. Jet8 indeed is an already established business and glad they chose ICO to expand their business. At least it has something that works to start with. But isn't the Soft Cap meant to be higher than the hard cap? IMO it's an interesting project but it's just another ICO like IndaHash (IDH) which didn't perform very well on exchange. It might do good in longer run but not for flipper I think. I would like to introduce to you the free listing platform Skatt where you will be able to find new investors and more followers for your ICO. You may find more information about us in our BitkoinTalk topic. The fact that Jet8 already have working business mean nothing. Their business need not neither ICO nor coin at all. If it is needed to use coins, why don't use bitcoin, ethereum or other? Everyone wants to get piece of ICO pie. Is there any possibility of a bounty campaign? Latest Influencer talking up JET8 token. Simon Cocking breaking down what he loves about our platform. The blockchain is so hot right now. Everyone is working on new ideas or systems that can utilize not only the blockchain, but altcoins and tokens, as well. There are endless startups all pitching new ideas and tokens, however, many times you'll find these guys are actually pitching an idea and actually have no product or service to show where their theory will actually work. One company that has been working in this world of tokens is Jet8, who in 2015 launched their platform to democratize influence on social platforms. Now, in 2018, the company is ramping up to bring their token, the J8T, and an already functioning service, to the blockchain. I had the chance to speak with Victor Zabrockis, CEO and co-found of JET8 to learn more about what they are doing and to learn more about their plans to democratize influence for social users. You can find the interview below!